and feel of hotel washrooms. Gladesmore Community School, rated ‘outstanding’ by OFSTED, provides education for boys and girls aged 11 to 16. Their ethos “Dream it, REACH it, Achieve it” gives outsiders an insight into the School’s encouraging environment. 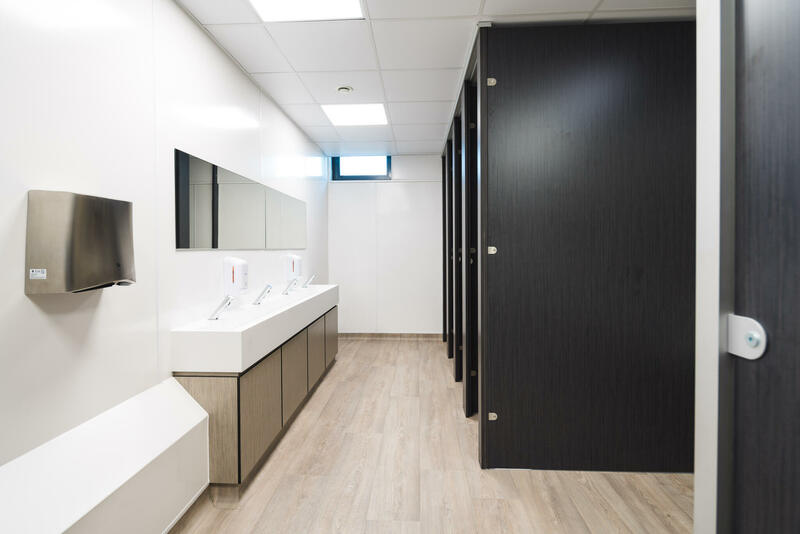 The School had the desire to upgrade their dated washrooms to sleek, modern washrooms with a hotel feel. 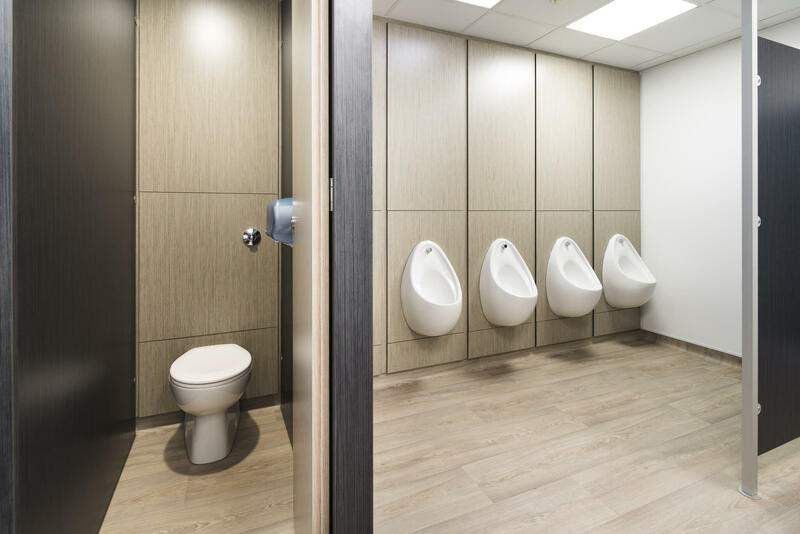 They appointed Pinnacle Furniture to complete the redesign and refurbishment of both the male and female pupil washrooms. 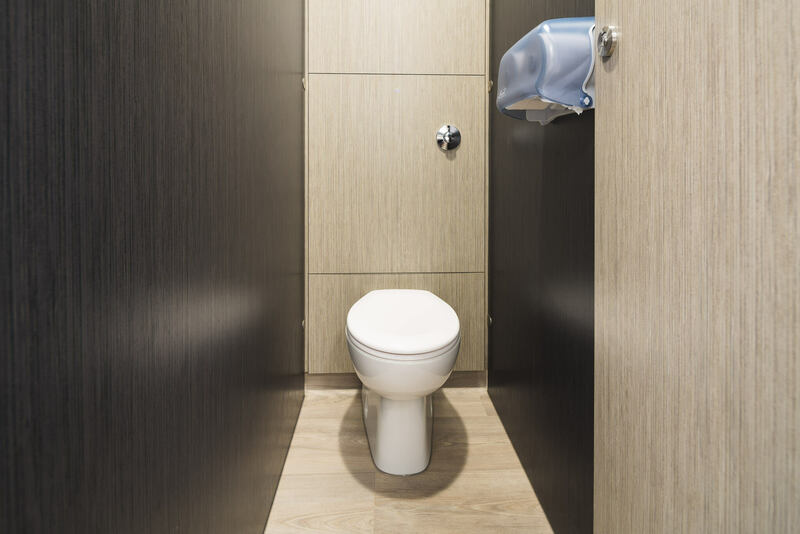 We installed full-height IPS duct panelling systems in solid grade laminate and non-slip vinyl flooring for safety, in both washrooms. 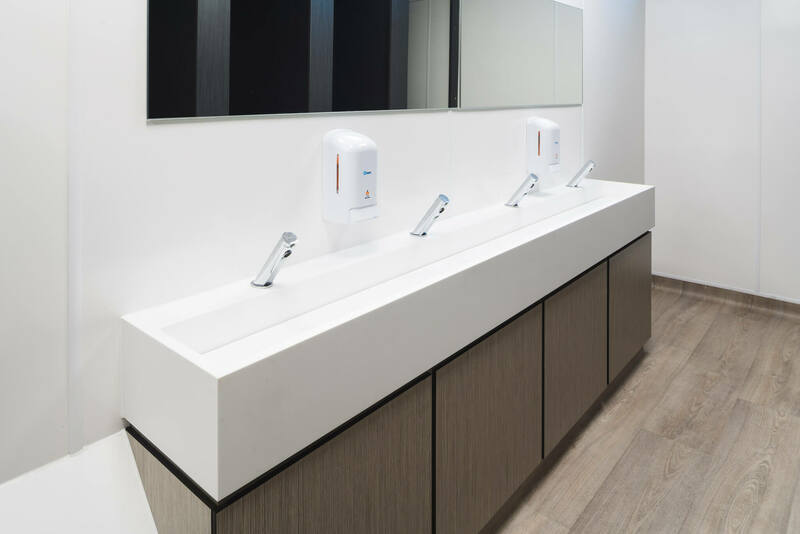 Pinnacle fitted 2400mm Corian wash troughs with sensor taps to improve efficiency, with bespoke full-width mirrors above. We finished off these areas with solid grade laminate (SGL) access panels. 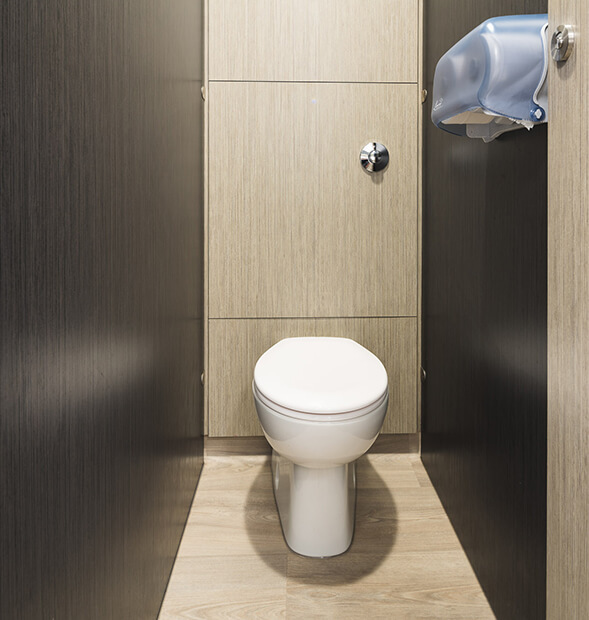 Pinnacle fitted elegant, flush-faced cubicle systems for complete privacy. 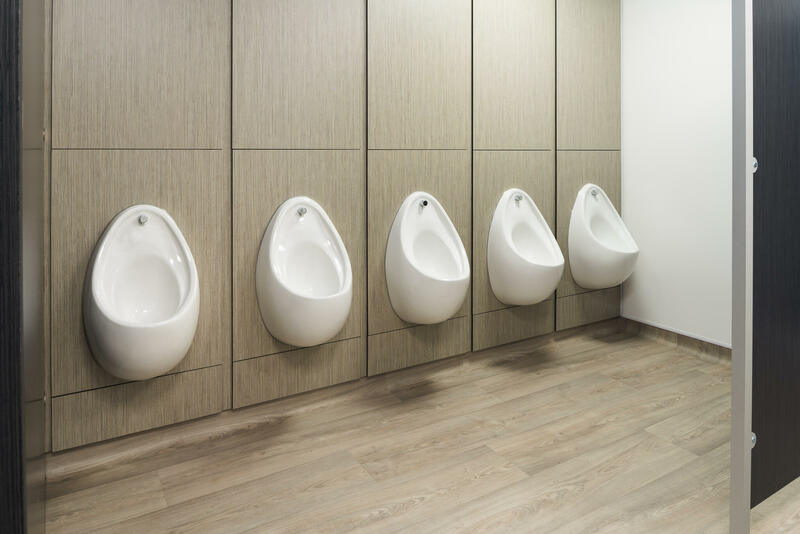 The cubicles had 44mm thick doors and pilasters with 30mm divisions. 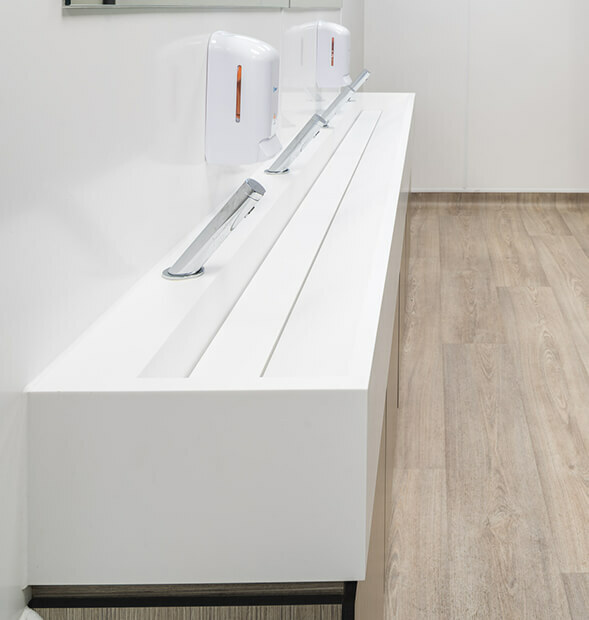 We installed acrylic wall panelling systems to complete the refurbishment. 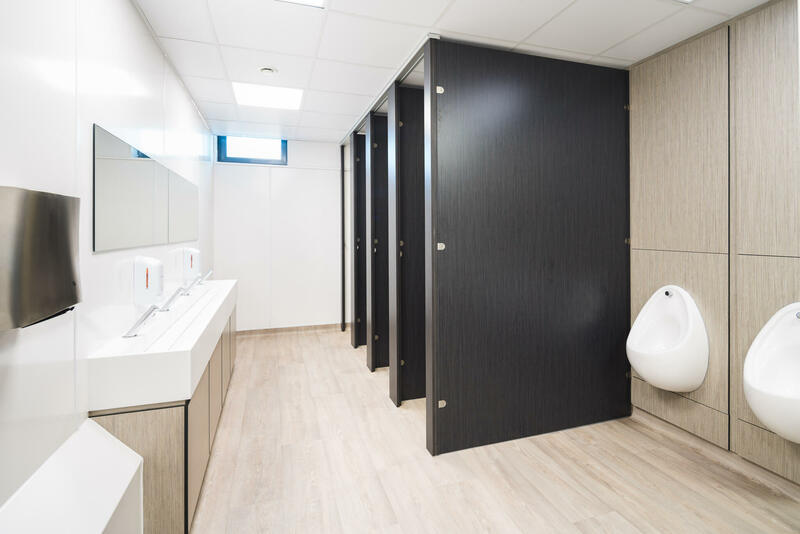 The washrooms were transformed into modern, hotel-like spaces, which no longer resembled typical School washrooms!